Can You Overwhelm Them with Content? However, Mark continues by describing that in our age of information overload, finding an unsaturated niche has become harder, and will continue to get tougher. My husband is probably sick, but I’m writing a book proposal. Not despite him being probably sick. But because he is probably sick. It doesn’t make total sense. But I keep on writing. I’m supposed to be at a writing conference in Michigan—supposed to be teaching there now. Instead, we’re going to doctors. We’ve scheduled an MRI. It got unscheduled. We scheduled it a second time. It got unscheduled again. We scheduled it a third time–because my husband is probably sick. So while we wait for tests to tell us, either way, I sit down and write. Just like I’m writing now. And that’s the point. Writers write not because the moment is perfect. We write because it isn’t. Learning that changes everything. I wasn’t thinking of such when I sat down to write this week. I’d spent months thinking about a book proposal idea. I never could find time to work on it. Or so I told myself. Hearing that, I actually got despondent, feeling writer envy of someone who has time to write and a getaway to write it in. Then something switched. Reading a book by one of the ancients—in this case, Brother Lawrence of France—I decided, on a whim, to see when his book was written. During a writing retreat? At a writing conference? At a family cabin without cell phone service or interruptions? No. His book was written while France burned. Or at least while France seethed. Assassination. Treachery. War. During the 1600s, when the absolutist, power-hungry and young King Louis XIII seized control, grieving the French soul and soil, Brother Lawrence wrote. He wrote anyway. So did the Apostle Paul. He wrote despite persecution, chains, evil emperors—all targeting Christians as “superstitious” heretics. Yet he wrote. Dictating. Composing. Inspiring. And his epistles today are still treasured by believers. Thus, writers write. We write anyway. Therefore, Shakespeare wrote—anyway. Mozart composed—anyway. Emily Dickinson scribed—anyway. Phillis Wheatley , the first African American poet to be published, rhymed—anyway. Despite being stolen into slavery from West Africa at age 7, and taken to Boston in 1761—an era when black slaves were forbidden by violence to learn to read or write—she was taught the craft. Anyway. So she wrote. We’re probably weakest, in fact, when we’re writing about perfect moments—always so rare for most of humanity. But let the thunder roll, the clouds gather, the rains drown out hopes and hearts, and then, our writing matters. Today, as political fear mongers dump on news journalists—even beating them up in public—political writing hasn’t stopped. Some argue it’s stronger and better. The lightning is flashing, in other words, and people are explaining the reasons why. In those times, then we writers write. Then we teachers teach. Then we artists paint. Then we dancers dance. Then we composers make music. Then we sculptors sculpt. Indeed, then we doctors heal. Words are medicine, for sure. And my husband? Doctors are still at it. Still eliminating possible problems. Still searching for solutions. Still poking and prodding, looking for their medical answers. But he’s not waiting on them. He bought himself a cane and he’s out walking. Anyway. I walk with him. Then I come back and write. One book proposal? Actually, I wrote two. My agent likes both of them. I’m believing one or both will get published. Meantime, I go to my desk to write. Just as you. Then let storm clouds roil and downpours fall. Our writing is seed. May God bless it to grow. Anyway. And always. Even now. 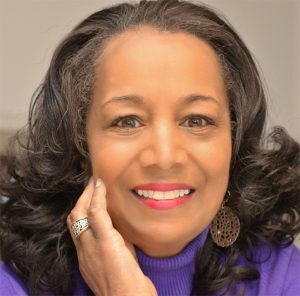 Patricia Raybon is an award-winning author of books and essays on bridge-building grace and faith. Understanding why people choose to share content sheds light on how you can adjust your strategy and carve out a competitive edge by embedding shareability into everything you create. Think about content you recently shared. Why did you do it? Do any of these reasons ring true? It made you look cooler, smarter, funnier, or more relevant—providing you with a personal psychological benefit. For the next five minutes, write about what gave you joy as a child. Write quickly without analyzing or editing. Take another five minutes and describe the most glorious or satisfying event of your high school life. Try to remember the last time you were involved with a project that so captivated your attention that you lost track of time. What were you doing? If five people closest to you-whether friends or family-were to tell you honestly what good things you have brought to their lives, what qualities or gifts would they list?